Everything. The place was absolutely amazing and the host was fantastic! Everything!! The villa is absolutely beautiful and we loved our short stay there. Chisanthi and Alexander are wonderful hosts, and Chrisanthi’s breakfast is deliciuous. Pyrgos is a charming town, worth visiting. Great hospitality and a warm welcome. Superb breakfast and plenty of recommendations on where to go and what to see. You will not be disappointed. Everything was wonderful! 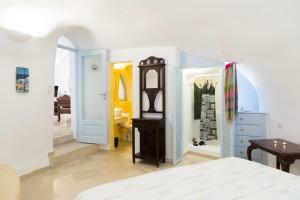 Beautiful villa with a delicious breakfast & very accommodating to us and our 2 little kids. We loved it! Everything about this place, the location was amazing, the host and his mother were so welcoming, ensuring we had everything we needed. I would definitely stay again!! I love everything about my stay! Alex arrange for us to check in supper early 6am and to check out at 6 am that was really good and we appreciate. He was there for anything you can call him and he will answer right away. His mom Chrisanthi clean everyday and made breakfast and let me tell you we loved it! Wish I can bring her home with me and her cooking... alex can show you a shorter way to get to the square from there you can take a taxi or rent a car it’s cheaper and you can go around the island on your own. The pictures of the house make no justice to how it looks I felt in love with the house. And how Alex and his mom made us feel like at home. Great service, nice house. The host is super nice and helpful, helped us to carry heavy luggages to the house and pick up my friends from airport. Great breakfast and everything is perfect. The house smells nice. Our stay at this villa couldn’t have been any better! Alex and Chrisanthi were lovely, friendly, and accommodating. We enjoyed a beautiful breakfast every morning. The villa was very clean. The villa was beautiful with amazing views. The host was incredibly friendly and very accommodating and helpful. Would recommend this villa to anyone visiting Santorini! Lock in a great price for Chrisanthi Villa – rated 9.8 by recent guests! One of our best sellers in Pyrgos! Featuring panoramic mountain views from the rooftop terrace, Chrisanthi Villa is a villa located in Pyrgos, just 1.6 mi from the port and 2.5 mi from Kamari beach. The property is 0.6 mi from Art Space Santorini. Free WiFi access is available. 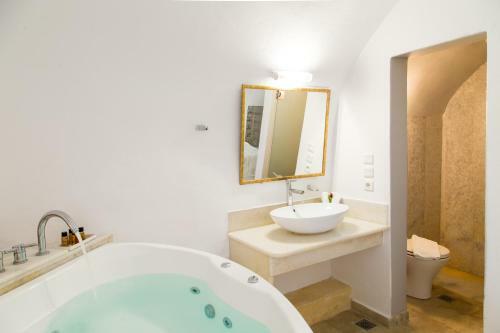 The air-conditioned villa features a hot tub. There is a fully equipped kitchen with an oven and a refrigerator. The private bathrooms have a bath and shower. Activities in the surrounding area include hiking and cycling. Fira is 3.1 mi from Chrisanthi and Oia is 11 mi away. Santorini (Thira) Airport is located 2.5 mi away. A transfer service to and from the airport is available upon request for an additional charge. When would you like to stay at Chrisanthi Villa? This air-conditioned villa features a hot tub and a fireplace. There is a fully equipped kitchen with an oven and a refrigerator. The private bathrooms have a bath and shower. Chrisanthi villa offers great views in a quiet but scenic location. It is situated very close to all the local amenities. 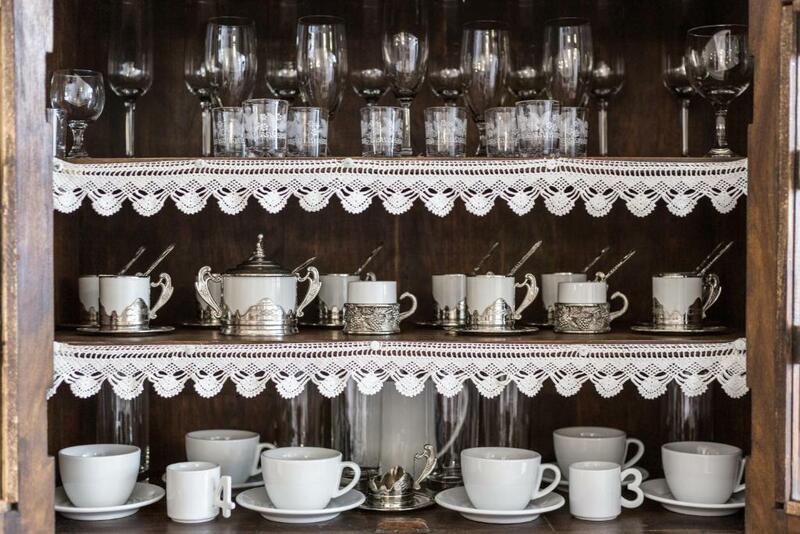 Our main asset though is the exceptional service and of course our delicious breakfast! Owners are a local family, seeking to not only meet but also to exceed guests' expectations. 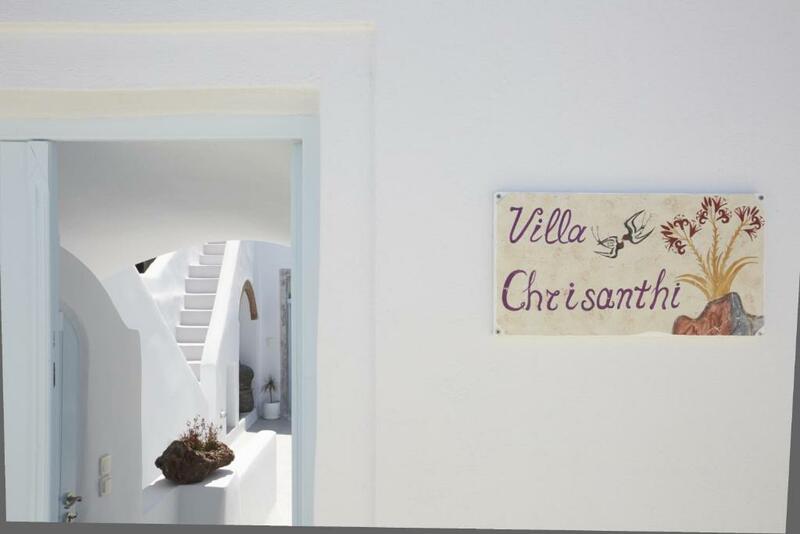 Delicious breakfasts and recommendations about the island are some of the everyday services of Chrisanthi Villa! Medieval Santorini comes to life in this lovely village that was characterized as a “protected monument” in 1995. Pyrgos is 7.5 km east of Fira. Famous for its Venetian casteli (castle) and the Good Friday custom involving thousands of lit tin cans, the village is a significant tourist destination outside the Caldera. 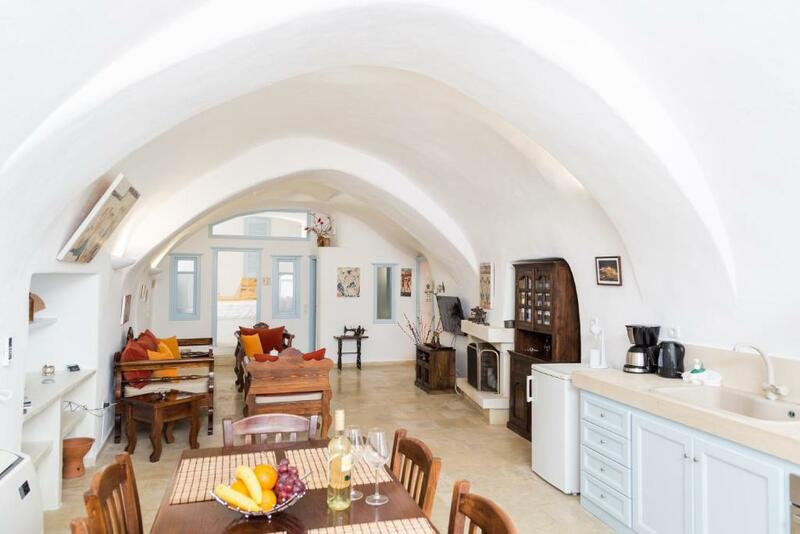 In Pyrgos there are boutique hotels, luxury villas to rent, cafes, gourmet restaurants, taverns, shops, mini market, bakery, gift shops, gas station and many more. In order to really appreciate the unique atmosphere of Pyrgos, we suggest that you take a walk along the cobblestone narrow streets and go up to the Casteli to enjoy the unobstructed view over the top. The Casteli of Pyrgos, or New Pyrgos, at the foot of Mesa Vouno (Inner Mountain), was one of the five castles built in the 15th century by the Venetians. House Rules Chrisanthi Villa takes special requests – add in the next step! Chrisanthi Villa accepts these cards and reserves the right to temporarily hold an amount prior to arrival. A mobile phone will be given to the guest upon arrival in order to easily contact the owner for anything they may need. Please inform Chrisanthi Villa of your expected arrival time in advance. You can use the Special Requests box when booking, or contact the property directly using the contact details in your confirmation. Water could be a bit hotter in the jacuzzi. The hosts. The villa and the breakfast. I love everything! The place itself is amazing and the host makes you feel home. There was nothing we didn’t like. The only regret we have is that we didn’t stay longer. The villa was gorgeous and super clean! Being that it was a three bedroom and three bath home, it was a very comfortable stay for me and my family. Be prepared to walk 5-7 minutes uphill from the main road to get to the villa (don’t worry, the host will meet you at the main road first with some help and donkeys to help carry your luggage). It might be a little difficult for some who are not used to some incline but it’s a good walk/workout that you will find it easier the second and third time. There were a total of six of us staying in the villa including my 76 year old father who gets a little tired easily. The villa is very spacious and fragrant! Some of my family members and I loved the smell of the crisp bedsheets and linen. Somehow the laundry detergent they used smells divine. We had no problem with it but for others they might be sensitive to it. Our host, Alex, was an excellent host! I have some finicky family members and he was very helpful and patient with our group, especially with my father who always had questions. He helped make transportation arrangements for us and even went out of his way several times when it came to dinner reservations and helping us with our luggage when we had a very early flight back to Athens. Our family was impressed with his kindness and professionalism. His mother, Chrisanthi, is such a sweetheart and made a delicious Greek breakfast for us. We enjoyed the warm hospitality and also the wine from their family vineyard. 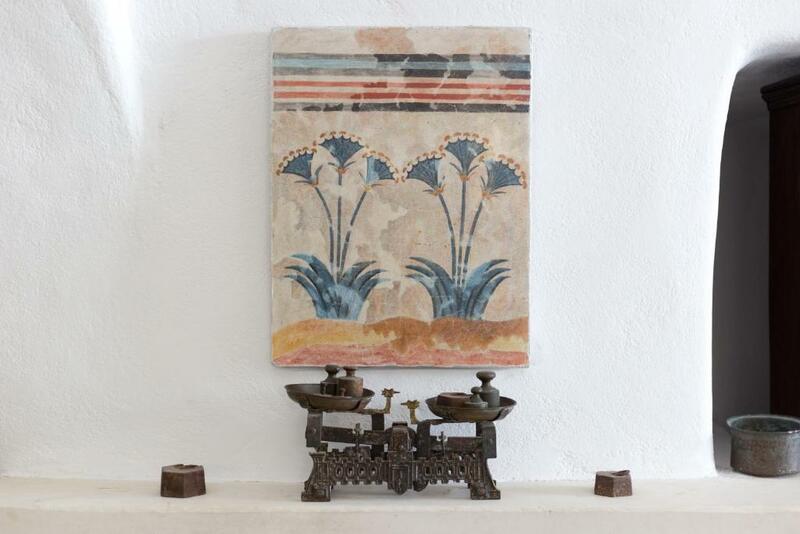 The villa is situated in the town of Pyrgos which is about 30 minutes away from Oia, the more popular, touristy, and most photographed place in Santorini. We preferred the location of our villa because it’s laid back as we didn’t have to deal with the crowds of Oia and Fira. Pyrgos is such a small and charming town with friendly people. There is a castle at the top of the hill and there are great restaurants within the town. Amazing Property!!! Absolutely beautuful. Tasteful furniture. Huge bedrooms.comfy big. Beds too! Each bedroom had a bathroom. Spa bath inside. Corner spa outside. Very Private!! Terrific home cooked fresh breakfast in our own personal Courtyard with home cooked eggs and pastries and sweet pastry too all included in price!! . Hosts were private but very friendly. Great Wifi. Lovely Cave residence. Very top of hill so views were breathtaking!!!! Go here before anywhere else!! Great value!! Better than the rest! Nothing it was perfect.... book it now!!!! It was a bit humid inside, and the living room furniture was a little uncomfortable to sit on. But these were very minor issues and did not detract from our stay. 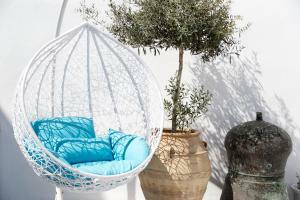 Very traditional, authentic villa that is built into the cliffside in quiet, laid-back Pyrgos. Bathroom facilities were updated and very nice. The villa has an outstanding view of the island from the rooftop and two jacuzzis, one of which is outside. Owner/manager even carried our heavy suitcases up/down the steps and alleyways and left us a bottle of wine. Breakfast was delicious with eggs and an assortment of breads, plus freshly squeezed orange juice. Very close to an excellent restaurant, Metaxy Mas, in Exo Gonia and to all attractions on the south side of the island. We wanted something different for our last night on Santorini, and this fit the bill.